A call is being made for isle artists and photographers with work depicting the sea to take part in a fundraising exhibition and choir event for Ramsgate RNLI. Sea Scape will take place at St George’s Church, in Church Hill, on September 29. The Caritas Chamber Choir will perform a sea-themed concert at the event at 3pm. The works will be in an exhibition also at the church on the day. Dawn Reece , who is running the project, said: “I am helping to organise a fund-raising event for Ramsgate RNLI called Sea Scape, which promotes the work of local artists and photographers, and will provide an opportunity for our local community and visitors to hear a professional standard choir perform in our beautiful St George’s church. “I am looking for local artists and photographers who have work that depict the sea. This could be photography, paintings or other crafts. The exhibition of works will take place at St George’s Church Ramsgate, on Saturday, September 29. At 3pm Caritas Chamber Choir will give a live performance of sea-themed music, which will last for approximately one hour. The event is expected to run until 5.30pm and there is space for around 500 people to attend the concert. The closing date for art and photographic entries is September 22. Artists are asked to contribute £10 to Ramsgate RNLI for each display board/table that they use. There is no commission charge on sales. 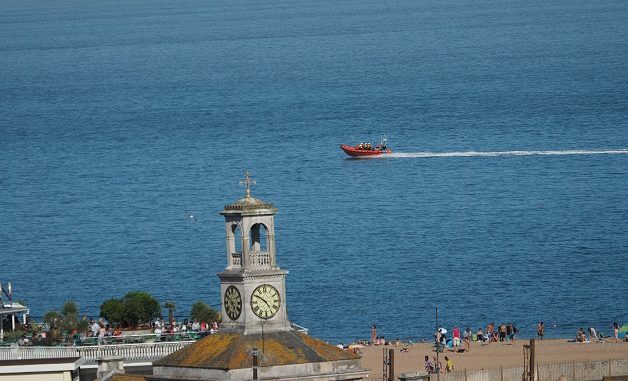 There will be a retiring collection after the concert/exhibition, which will go directly to Ramsgate RNLI.